These Kimberley Clark gloves have a knit wrist and breathable back. 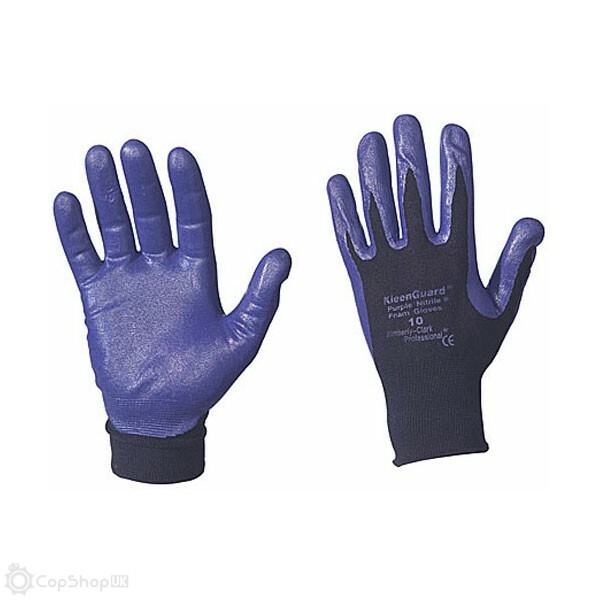 They are coated with purple nitrile foam on the palm and fingers for grip and abrasion resistance. The 60% cover of nitrile allows for a more dexterous use of the hand while gloved.